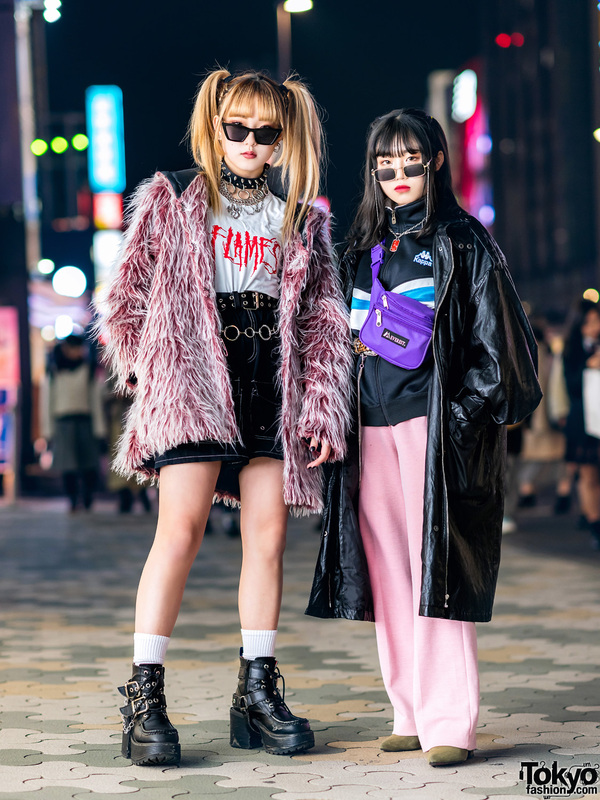 Grabbing our attention on the Harajuku street one afternoon is Jihou with her pink-and-blue minimalist streetwear style. Sporting a handmade cartoon print bucket hat perched on top of her blunt bob hairstyle, Jihou stepped out in a resale periwinkle blue belted maxi coat. 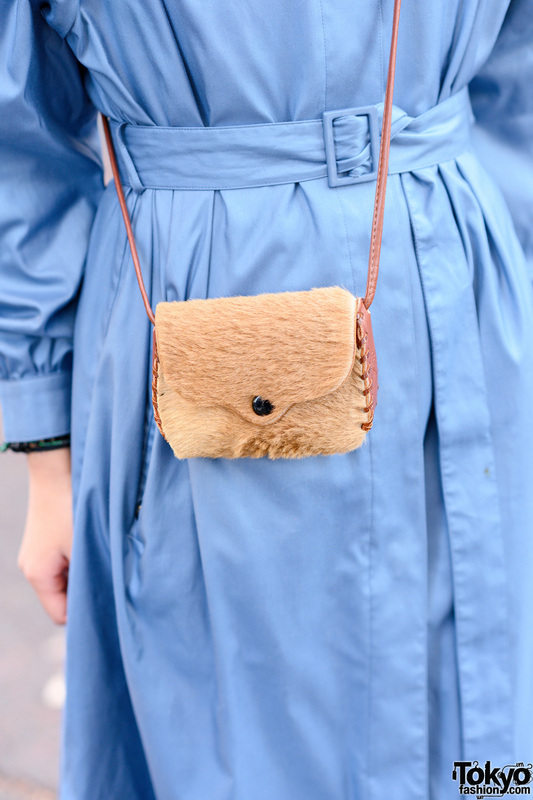 The 20-year-old student layered her coat over a resale pink long sleeve shirt dress, and finished off her style with pink ribbed socks, Dr. Martens leather shoes with velcro straps, clear aviator glasses, multiple hair ties around her wrist, and a resale furry sling bag with brown leather straps and accents. Comme des Garcons and Yohji Yamamoto are two of Jihou’s favorite streetwear labels, and she listens to the music of My Hair is Bad. Check out Jihou’s style feed on Instagram for more of her streetwear looks.